Matchday: Can West Ham Triumph In Turf Moor Claret and Blue Derby? Chim chiminey, chim chiminey, chim chim cheroo. Who are the b*st*rds in claret and blue? The staccato Premier League season resumes today with a short burst of winnable fixtures for West Ham that commences with today’s visit to face Burnley at Turf Moor. The rub of the green in these games could see the Hammers scramble into the top half of the league (or first page of Teletext as it used to be known). That we tend to divide games into winnable and write-offs is a sad indictment on the predictability of the league but nonetheless they are the games where points are required if a messy relegation scrap is to be avoided. Burnley are the surprise team of the season so far occupying sixth place in the table under the leadership of flavour of the month manager, Sean Dyche. In recent weeks, it has been claimed that Dyche’s name has been added to the list waiting for Slaven Bilic to be relieved of his London Stadium duties as well as being touted as an unlikely successor to Arsene Wenger at The Emirates; albeit only by Ian Wright. The suspicion though is that, as well as Dyche has done at Burnley, he is a graduate of the Allardyce/ Pulis school of difficult to beat and ugly wins rather an exponent of the expansive football yearned for by bigger clubs. Perhaps one day he will get the chance to prove his mettle at the top table. The claret and blue derby is probably not the most eagerly anticipated in most people’s football calendar and a game between two of the division’s most direct sides is unlikely to dominate today’s Match of The Day coverage or engage the average neutral. Turf Moor is one of the few remaining old school stadiums having been Burnley’s home since way back in 1883. It has previously also served as both a cricket ground and a horse race track which hopefully does not give our own owners any fresh ideas. West Ham have won thirty-six and lost thirty-one of their previous eighty-four encounters with Burnley. 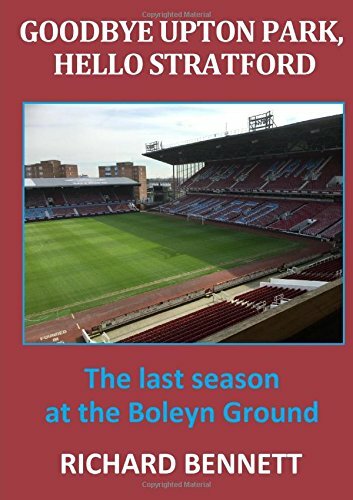 In history the game has largely gone in favour of home advantage whereas, in more recent times, the Hammers have generally been in control – winning nine of the last twelve (home and away) and, more impressively, having secured seven wins out of the last twelve encounters in the north-west. West Ham’s first win at Turf Moor was at the seventeenth attempt in the opening weeks of the 1959/ 60 season, a season in which Burnley went on to win the second of their two First Division titles. An amusing ‘typical West Ham‘ event occurred in November that season when, having just beaten current champions Wolves to retain top spot in the table, they then travelled away to face Sheffield Wednesday at Hillsborough only to lose 7-0. “They gave us a jolly good whacking” was the honest opinion of West Ham manager Ted Fenton. Most unusually West Ham are reporting an almost fully fit squad with only James Collins unavailable for selection. Perhaps it is a coincidence or simply good fortune but sick bay occupancy has reduced remarkably since the appointment of Gary Lewin as chief medic during the summer. It is rare for Bilic to bring a player returning from injury straight back into starting eleven contention; a state of affairs that prepares us for the (bad) news that Mark Noble will be preferred to the more effective alternative of Pedro Obiang in the centre of midfield. In fact, we shouldn’t expect too many changes from the game against Swansea given that we ended up victorious, no matter how unconvincingly. I would imagine that Manuel Lanzini will start in a five man midfield and that we will play just one up front, where Diafra Sakho or Javier Hernandez would be the best option – so expect Andy Carroll to get the nod. I don’t see Slav pulling any other selection surprises opening the door for Declan Rice to reprise last season’s 93rd minute substitute role. So confident is the manager as to the squad’s level fitness and preparation for today’s game that he gave the players extra time off during the international break. I wish this was a confidence shared! Burnley are without several long term injuries including keeper Heaton, summer signing Walters and Marney. It will be between Wood and Vokes as to who takes their own lone striker role. Today’s referee is Stuart Atwell from the West Midlands. I read elsewhere that Atwell had not previously taken charge of a West Ham game but that is not the case; having officiated in Hammer Premier League away wins against Wigan (2009) and Blackpool (2011). He was subsequently demoted from the Elite referees list only to return several seasons later. He now spends time between the Championship and Premier League but is not yet trusted to handle top six games. The 1-0 win at Wigan in 2010 was notable for Carlton Cole’s finest ever goal when he rounded off a fine Parker, Noble, Di Michele move with a ‘sumptuous’ curling finish from the edge of the area; Cole was later sent off for a second bookable offence. The game will also be remembered as when Jack Collison picked up the knee injury that would ultimately cause an early end to his career. Merson is going for a 1-0 Burnley while Lawro is firmly on the fence at 1-1. It is difficult to see this game as a classic. Both sides are way down the rankings for successful passes in the final third which is consistent with their direct approaches. Burnley have allowed their opponents to take way more shots than any other team in the league this season which could be encouraging if the kit-man has packed our shooting boots. West Ham have scored a meagre thirty six goals so far during 2017 – which is exactly the same number as Harry Kane! While West Ham have the better squad on paper the evidence suggests that Burnley have superior organisation and team spirit. I can only see this as a low scoring game settled by a mistake, set piece goal, wonder strike or deflection. Finger crossed that it goes our way. Previous Previous post: Can West Ham repeat last season’s successful trip to Turf Moor?